Mariam Ahumada, an outgoing senior, is part of the IB program at Coral Gables Senior High School. She is eager to embark on her third, and last year, in CavsConnect as the new lifestyle editor. 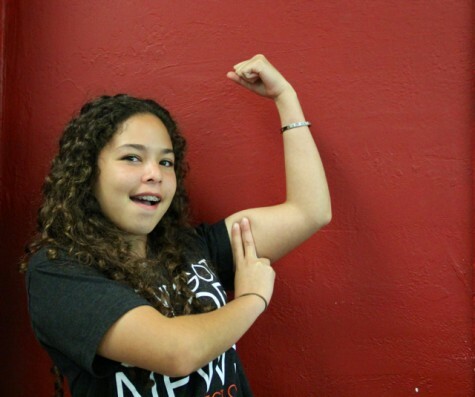 Since transferring to Gables her freshmen year, Mariam has made an effort to become more involved. Three years later and she is now the IBHS B4P Secretary of Entertainment, the NHS Treasurer and a CavsConnect editor! Despite her miniature size, Mariam has the voice and attitude of any average-sized, busy 18 year old. She is an avid reader and passionate writer who hopes to one day inspire others with her writing. She dreams to someday travel the world and experience cultures firsthand, but until than the Gables community will do. Overall, Mariam is looking forward to an eventful senior year full of memories, laughs, Cavalier pride and new experiences!